Courtesy of Keller Williams Consultants Realty 614-932-2000, Gregory R Harris 614-649-6058. Welcome to the Chateau of Dublin. An exquisite estate nestled on over 13 acres on Columbus’ iconic Riverside Drive. Pull through the gate up to the wonderfully hand-crafted Ralph Fallon masterpiece. Throw the cookie cutter back in the drawer because this home is as rare and unique as imaginable. Sprawling rooms with custom woodwork, cabinetry, wall and ceiling murals and oak-carved chandeliers. Towering cathedral ceilings, secret passage way doors, and impeccable views of the Scioto River will have you picking your jaw back up from the floor. Movie theater with candy concession stand, staff quarters, full spa w/ steam room and fitness space, MIL suite with kitchen, full basketball court, enormous outdoor patio area with pool, and a giant pole barn for your favorite hobby. Please, send me more information on this property: MLS# 219000318 – $3,499,000 – 5622 Riverside Drive, Dublin, OH 43017. 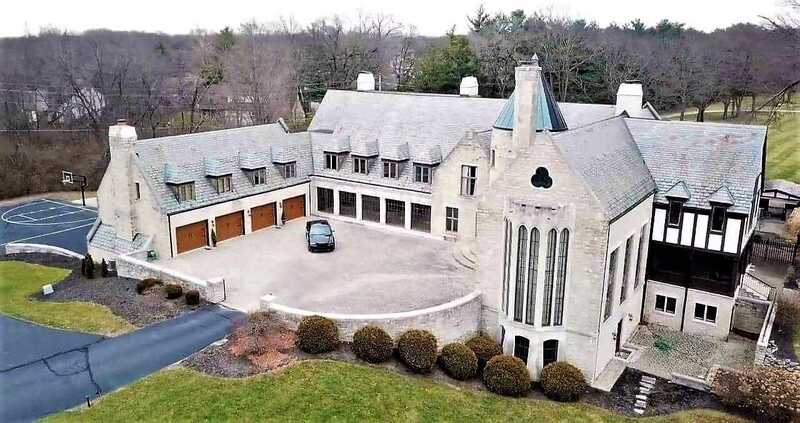 I would like to schedule a private showing for this property: MLS# 219000318 – $3,499,000 – 5622 Riverside Drive, Dublin, OH 43017.